King Mohammed VI has embarrassed the leadership of the Polisario, on Tuesday, when he totally ignored the separatist front and announced Morocco’s readiness for “direct and frank dialogue with Algeria”, while insisting on the need to reach a lasting, realistic political solution in the Sahara that falls in line with the Autonomy Initiative. To materialize this dialogue, the Moroccan sovereign has proposed to Algeria the creation of a joint political mechanism of consultation, which will address the transient and objective differences straining Moroccan-Algerian relations. 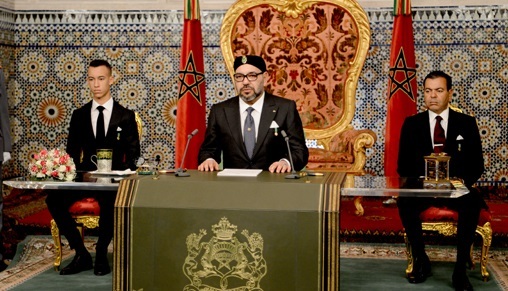 In a speech on the 43rd anniversary of the Green March, King Mohammed VI explained that this rapprochement should also serve the development of the Maghreb. Regarding the Sahara, Morocco will continue its efforts to ensure the development of its southern provinces, within the framework of the new model of development, King Mohammed VI said. The aim, he explained, is to make sure the Moroccan Sahara can once again play its historical role as an effective link between Morocco and its sub-Saharan African roots, be it from the geographical or historical perspective. Another point that has bothered Brahim Ghali and his cronies is the confirmation by the Moroccan Sovereign that the actual implementation of advanced regionalization is contributing to the emergence of a genuine political elite that can effectively and democratically represent the inhabitants of the Sahara. This representation enables them to exercise their right to run their local affairs themselves, and to achieve integrated development in a free and stable environment.